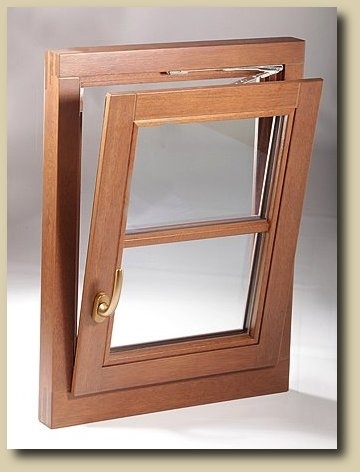 The Tilt & Turn Window design is the most popular design in Europe and has been installed in residential and commercial buildings for decades. 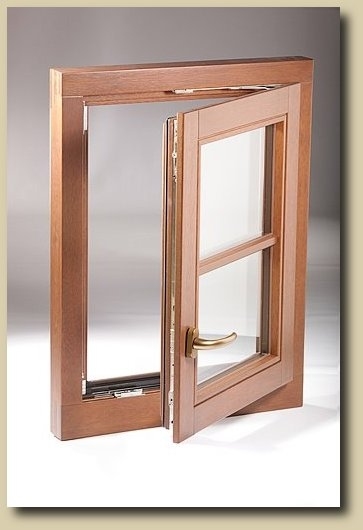 The unique multi-function handle enables easy operation for tilt and turn opening of the window. The multi-point locking mechanism assures a tight and secure fit. The tilt function enables very effective ventilation. The turn function allows exterior window cleaning from a safe and convenient interior location versus having to access windows from the outside (e.g. with ladders on 2nd floor levels). Our windows and doors are constructed from triple laminated wood and can include exterior metal cladding. We offer a variety of high quality wood species and aluminum or bronze cladding to match our customers' preferences.